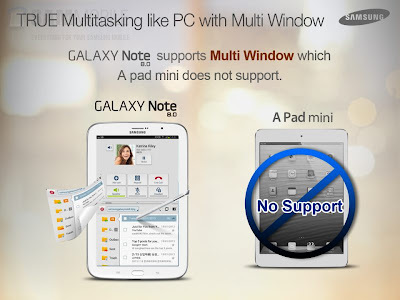 So the marketing people from Samsung are really keen on pitting their Samsung Galaxy Note 8.0 tablet against Apple's iPad mini. 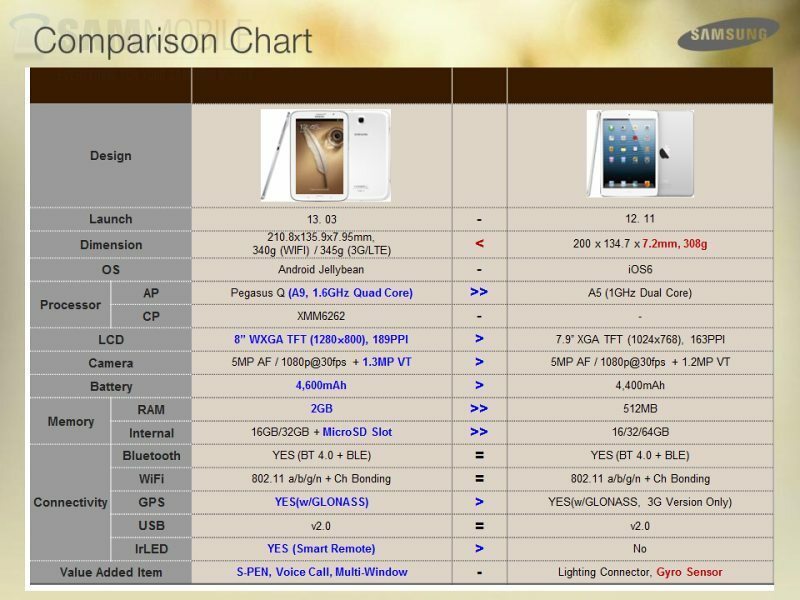 Fair enough, the dimensions, screen size, and specifications of the two tablets are similar yet still different from each other. 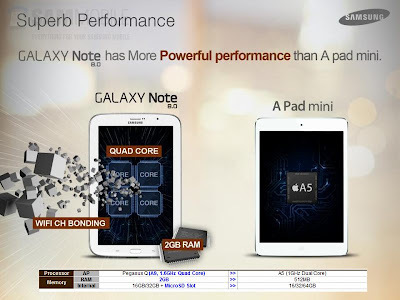 While we know that Samsung is known for blatantly comparing its products to those of the competition, particularly Apple, the Korean company went further by publishing images of its new tablet opposite Apple's iPad mini. Samsung stated at least 10 reasons on why the Galaxy Note 8.0 is better than the iPad mini. 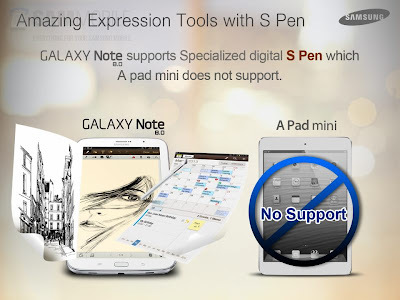 These include the S-Pen, Multi-Window for multi-tasking, quad-core processor, 2GB RAM, micro-SD card slot, IR Smart Remote, Reading Mode, and several other minor advantages. 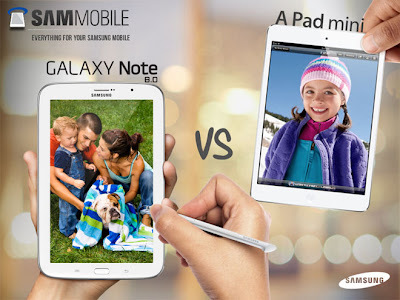 While I agree with Samsung on some of the Galaxy Note 8.0's advantages over the iPad mini, some were just blown out of proportion like the 200 mAh battery difference, 0.1-MP front camera difference, and the 26 ppi display density difference. These are all negligible considering Android smartphones and tablets are power-hungry both in processing power and battery. While the Samsung Galaxy Note 8.0 still enjoys some advantages over iPad mini, the latter has tricks up its sleeve as well. The Apple App Store has more tablet-optimized applications than Google Play. The iPad mini has longer battery life despite the relatively smaller battery pack. And as with most Apple products, the interface is very fluid. 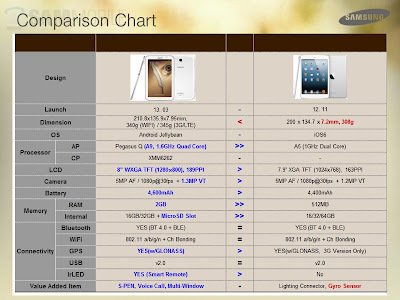 In the end, it's not just about the specifications but it's about one's preference. Are you after the Note 8.0's S-Pen for all those drawing and sketches or are you after the iPad mini's larger collection of tablet-optimized apps? 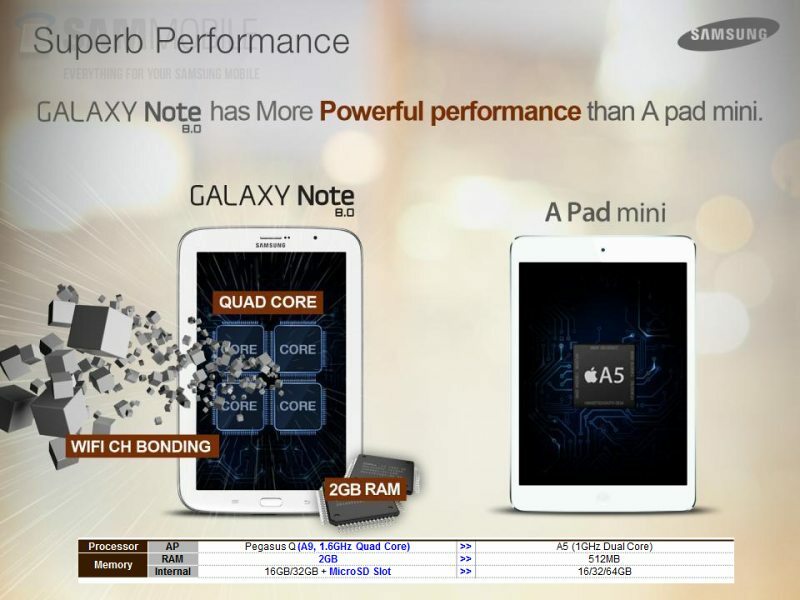 It all boils down to what you need and not which between the two is better specs-wise. It's like comparing apples and oranges (no pun intended).